← First Look Sneak Peek! The Black Series [Phase III] TARGET Exclusive Moloch! Your One Chance At Getting Han Solo's Empire Strikes Back Jacket! Do you have some spare cash? A movie prop auction will be held in London on September 20th. It’s your once in a lifetime chance at acquiring some unique and iconic movie/tv props! Click through for more details! Up for auction are Han Solo’s Empire Strikes Back jacket and it is estimated to be auctioned off for up to 1 million £, that is roughly 1.3 million USD. It is the most expensive item. You can also bid for Indiana Jones’ bullwhip from Tenple of Doom (expected to bring in about 90k USD), Anakin’s hero lightsaber from Revenge of the Sith (a measly 130k USD) or a Stormtrooper helmet from both A New Hope (estimated price is 80k USD) and The Last Jedi (affordable at only up to 66k USD). About 600 props will be available. You can also get Marty Mc Fly’s original hoverboard from the second movie (but I suppose it won’t really hover, let us know otherwise!). A livestream of the event will be available on September 20th. 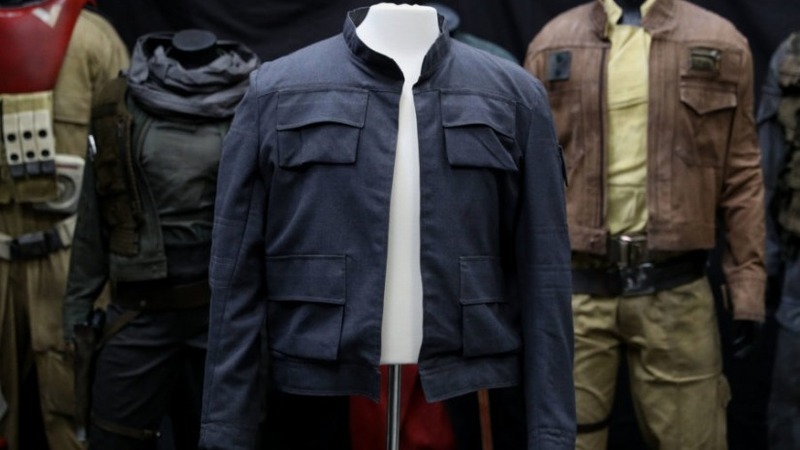 And should anyone here buy Han’s jacket we expect photos and a full review! Previous Article: First Look Sneak Peek! The Black Series [Phase III] TARGET Exclusive Moloch!